We’re just a few short days away from the launch of Battlefield V’s battle royale mode called Firestorm and in celebration EA has unveiled their latest content roadmap that details a ton of new content set to drop in the coming months. From new maps to new modes and weapons, there’s a lot of stuff to get excited about. Naturally, the new content will begin with Chapter 3: Trial by Fire, in which Firestorm will kick things off. 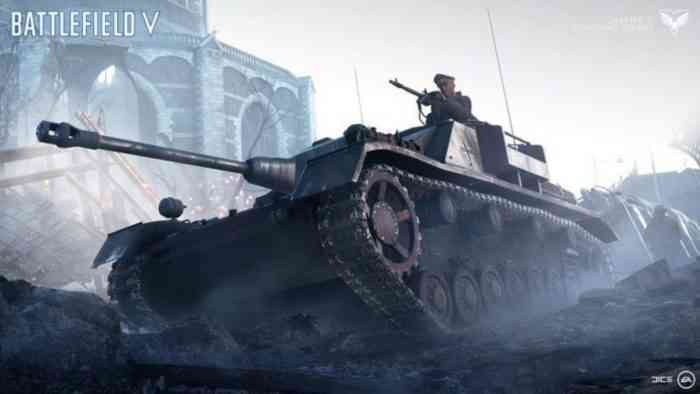 EA noted that they’ll be consistently updating the game mode saying, “Firestorm will be improved and expanded after launch for all Battlefield V players as part of Tides of War; Duo play, for instance, is coming for a limited time in April.” In addition to the battle royale game mode however there will be new missions incoming in April, a new map in May, and a new game mode in June. And during these months Battlefield V will also see the arrival of not one, not two, but six new weapons. Now in June Chapter 4: Defying the Odds arrives to Battlefield V, bringing with it a few different maps and a new close quarters game mode. Here’s how EA describes this new incoming mode, “In the mode, you’ll take on focused 5-vs-5 Battlefield V matches on tight arenas. Stay, fight, and accomplish more together with your squad across several battlefields designed exclusively for the mode.” EA is set to share a whole lot more about what Chapter 4 will hold at their EA Play event in June. The latest roadmap, which you can check out below, shows off content all the way until Fall 2019, though here it becomes a lot more vague. Fall 2019 will see the arrival of Chapter 5 and what has been dubbed “awakening the giant,” whatever that means. EA stated that this will showcase how Battlefield V is constantly evolving, so we’ll just have to wait and see what the later months of the year will hold for us then. Maybe they’ll share some more details on this at EA Play as well. What do you think about the incoming content? And are you excited to jump into Firestorm? Let us know your thoughts in the comments below and don’t forget to keep it locked for updates!